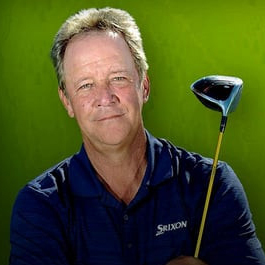 Bobby Wilson:	Hi, Bobby Wilson here, founder of The Power Golf Institute and four time Remax World Long Drive Champion. Everybody loves winning long drive championships, whether it's at your local club, at a regional, or a world championship, and one secret is to have width in your swing. I've got a drill for you today to help you create that. That is this, I'm going to call it the bucket drill. I've got a little [smav 00:00:47] cooler here that you get on golf carts, you can do this indoors, even at your house with the couch behind you. I'll want you to set this up, remember, we're trying to create width on the backswing, getting narrow on the downswing, and having width on the follow through. I've put the bucket back here and with my arms good and extended, as you notice, when I take this away, I'll brush that bucket. See that good extension? I want to make sure I take that back and just barely brush it. Now, on my downswing, it should get narrower, so I should miss this, and then on my follow through we go wide again. Let's give it a swing here just to give it an example. Just a great drill to try. You know what? That might have been a fifth world championship. When approaching this drill, I want you to be careful when we're doing this. I want you to do it slow because you've got a bucket behind you or you're doing it indoors in your couch, you want to be real careful that you do it slowly because you don't want to go wide to wide because you could create a catastrophe right there. Do it slow, wide to narrow, to wide again.